My name is Kit Elliott, and yes, ten years ago I was teaching 6th grade Science full-time, working 60 hours a week. When you work in a high-stress atmosphere for 60 hours per week, it takes a toll on your body and health. At the end, I was limping with nerve damage on the right side of my leg. I had signs of Diabetes setting in due to the stressful environment. Finding a way to break free from this stress was not just a wish, it was MANDATORY. I had to find something that worked! That’s when I tested and tweaked and figured out a blueprint for making money online. I worked day and night and put in the work to change my situation. 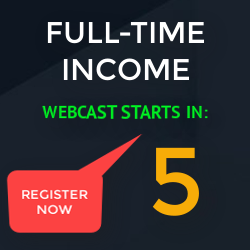 As a result, I now make over $43,000 per month in profit because I cracked the online code. Now, I know without a doubt what works and what doesn’t. My goal is to not deliver conceptual stuff, but actual step by step usable content that you can use and implement immediately to see results. I get so tired of “feel good” training that’s ALL FLUFF and PUFF. If you’re like me and need actual steps you can implement RIGHT NOW, RIGHT NOW, then we’ll get along just fine. Go Above and Beyond to Become a Top Earner! YOUR goal is to provide as much value to YOUR LEADS and to YOUR TEAM as you possibly can. When you place the emphasis on the value and training you provide, it instantly attracts the right people to your team. Oddly enough, you look MORE attractive and people YELL at you for your buy now link.